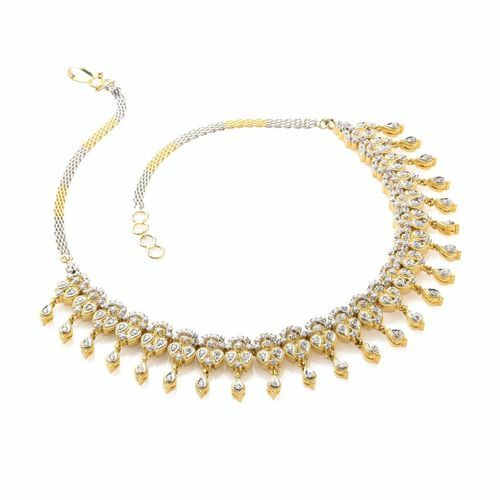 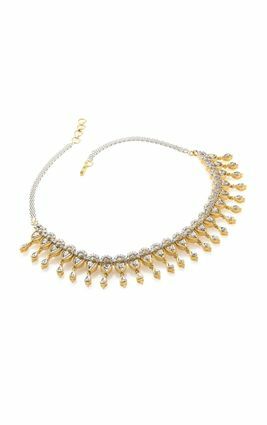 A delicate silver necklace, polished in gold and enhanced with CZ diamonds arranged in flower formations, cascading into droplet shaped zirconia hangings for enhanced elegance. 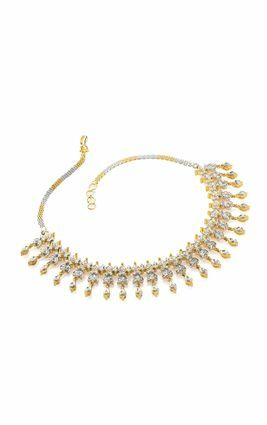 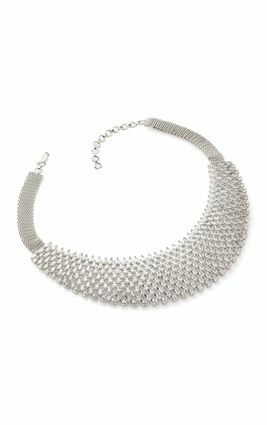 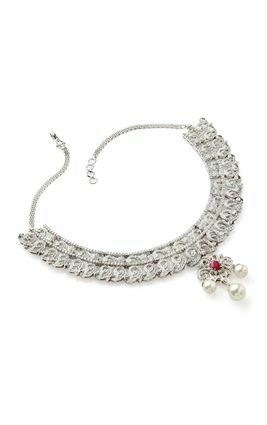 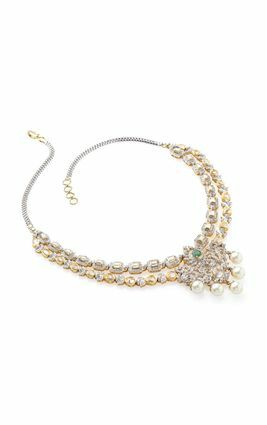 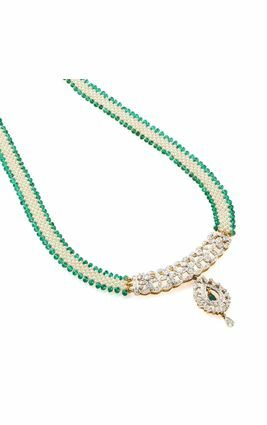 Pair this necklace with matching long earrings for evening wear. 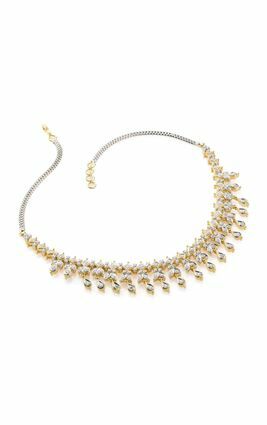 A delicate silver necklace, polished in gold and enhanced with CZ diamonds arranged in flower formations, cascading into droplet shaped zirconia hangings for enhanced elegance. 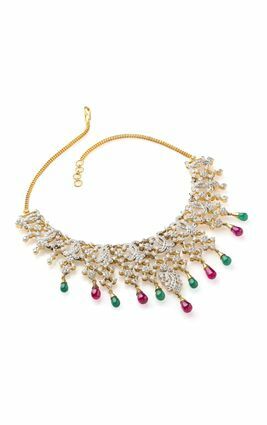 Pair this necklace with matching long earrings for evening wear.